ART OF TRANSIT: Those map cases in the subway also work as flash bulbs! Photo by Steve Hymon/Metro. The City Council doesn’t want a private developer coming up with plans for the current bus storage facility on Santa Monica Boulevard. And the Council certainly wasn’t happy with a plan that involved about 400 residences, an amphitheater and commercial space, among other things. Rather, the Council would like to see public entities develop the land so that plans are more transparent. An agreement between Metro and Cohen for an exclusive two-year negotiating window ends in April. Stay tuned on this one. The explosion at the ExxonMobil facility yesterday will almost certainly add to the cost of gas, which had gone up about 17 cents in the previous week, according to state statistics, to an average of about $2.80 for regular. Don’t like enriching the oil companies? If not already taking transit, try it occasionally. Here are Metro bus and rail maps and timetables — there is parking info included in the map for each rail and busway line. Very nice piece from D.J. Waldie about the gains in air quality in the Southland made in his lifetime. But it’s not all good news. The horrific smog of his youth in the 1950s likely did/will impact his health. And air quality in our region often doesn’t meet federal pollution limits — and new rules are criticized by some as being too weak to accomplish much. Sort of a long-and-winding-road kind of post that still manages to be of interest: in this case a critique of light rail in Dallas and an argument that putting some of it underground in downtown Dallas would make it useful to riders and spur more density where it belongs. I don’t have a strong personal opinion on this, but I’ve heard the argument a lot so I figure I’ll try my hand at explaining it. I think the reason some people feel that density matters when it comes to defining sprawl is because we tend to think of sprawl as wasteful, as the unnecessary spreading of a city and its suburbs in order to build more single-family homes with big lawns, shopping malls with huge footprints, and big parking lots. People will argue that LA’s sprawl is very different from, say, Houston’s sprawl. Having lived in both places, I’d agree — in Houston, I have to drive 30 miles from my mom’s house to downtown, and 2 miles just to get to the nearest shopping area. Even in denser parts of the city, it’s hard to find walkable areas where you can get all your errands done without a car. In LA, I don’t own a car and it’s perfectly easy to find pretty much everything I need or want within a half-mile radius, including basics like groceries but also entertainment and recreation. Obviously this isn’t true for every part of LA, but still. I completely understand what you’re saying about LA’s size, but the truth is that most people never need to drive from Palm Springs (hardly LA, in my mind, but whatever) or even the SGV to Santa Monica. Excellent point. One of the things often lost on visitors to our region is that for every person stuck in rush hour traffic, there is usually a few people who don’t have to deal with congestion because they can stick to their corner of the county. What IS certainly different about LA when compared with other regions is that, on top of this medium density that extends for miles around, we’ve long since removed the streetcar network that made a lot of it possible in the first place and put down an attempt at a high-speed car network with all of our freeways. We don’t have near the kinds of inbound/outbound rush-hour patterns of other more traditional cities because we are medium density throughout the whole region, which makes our transit planning a whole heckuva lot harder and also makes the car a much more desirable means of transport. And that returns me to the original study I grumped about yesterday. Okay, so maybe we’re not as technically sprawling as some other metro regions. But we’ve sprawled enough to make it difficult politically and financially to figure out where to build transit. And that, my friends, is a problem. 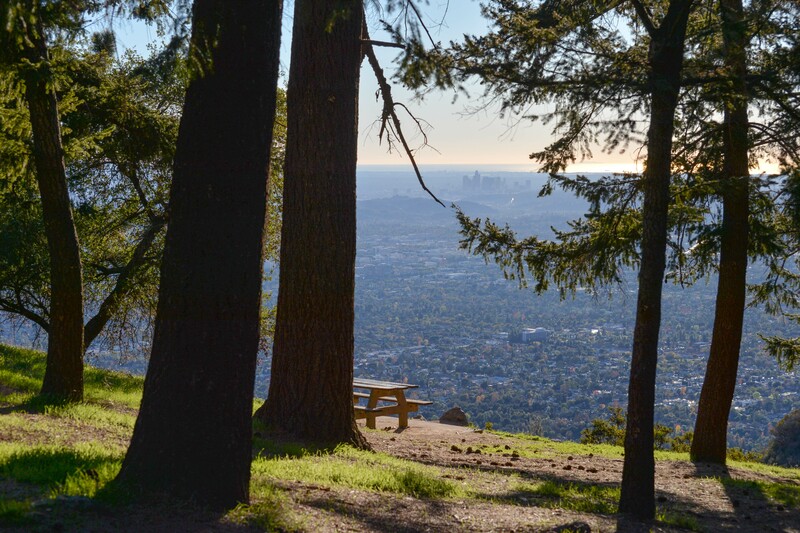 Just a small slice of our region’s sprawl can be seen from Henninger Flats above Altadena. Photo by Steve Hymon. Tell me why I should pay Metro $3.50 just to do a round trip to the local supermarket less than 2 miles away, when I can do the same thing for 15 cents of gas (do the math: approx. $3.00/gal on a 40 MPG hybrid car, 2 miles away is about 15 cents in gas) and carry more groceries in my car than I can ever could on Metro. Naysayers can try to do the usual “oh you forgot to add in AAA figures or cost of insurance or maintenance cost,” but those costs for a 2 mile trip is negligible. And you wonder why the vast majority of Angelenos do not take the bus to go grocery shopping. Going grocery shopping is one of the most frequent short trip uses of the cars out there today that causes congestion on surface streets. Come back to me with something with more subsistence like when you reduce fares for shorter trips that start off with $0.50 cents like the distance based fare model that Asian countries run on. Over there, going to the grocery store on the bus is normal. Why? Because it only costs $0.50 to get to the supermarket which is usually not that far away from where they live, hence they actually encourage people to take public transit for shorter trips, reducing the need to have clogged surface streets. The first answer to your question is that you don’t have to take Metro. Everyone’s free to choose and I’m free to recommend it. The second answer to your question is that our audience also consists of people who may need to travel farther than two miles to the supermarket. As you know — since you are an extremely frequent reader of this blog and commenter — there is no proposal at this time for distance-based fares on the bus or train. As you also know, the vast majority of buses in the U.S. do not offer distance-based fares. That’s just the reality. If the statement “only few transit agencies use distance based fares in the rest of the US” as a reason why LA doesn’t, you might as well make the position that in the rest of the nation they have less taxes on gasoline, less restrictive environmental laws, less stringent gun laws, so we should do the same as well. LA and CA has always been the leader of going on its own to set the standard for the rest of the nation. Whether the policies are working are another matter but it is true we have the highest gas tax in the nation, the strongest gun control laws in the nation and the most stringiest air pollution and environmental laws. We have also been at the forefront of new technology; after all, we have Silicon Valley. Who says we have to keep failing like the rest of the nation when it comes to mass transit? New York is supposedly the best we have in the nation, yet it still doesn’t operate at a profit yet they keep raising their fares all the time. Why keep following failing models? 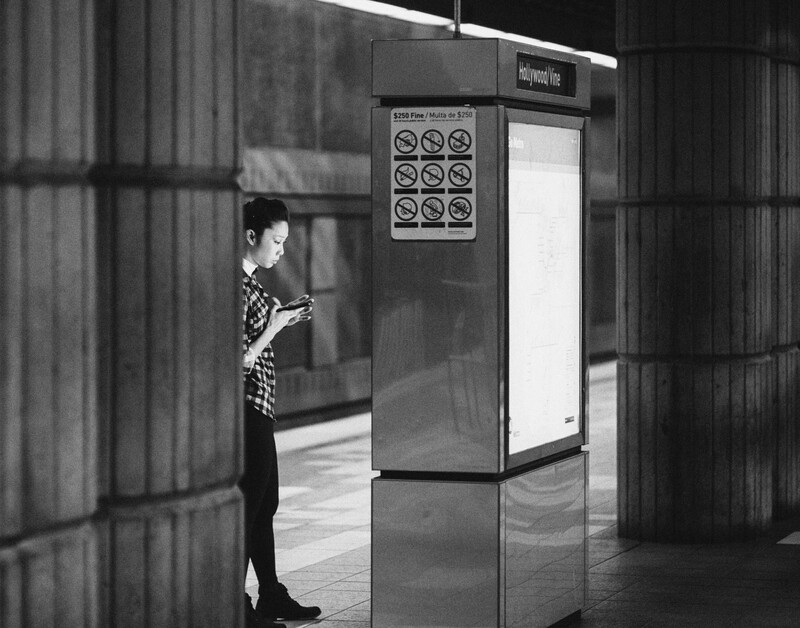 Why can’t we be a leader in revolutionizing mass transit fare policies? Are you saying government bureaucrats and politicians who set fare policies know more than academic professors who specialize in this field? The least Metro could do is work together with UCLA and actually study this matter seriously. That’s what we pay you guys to do; we’re not paying you guys to come up with the same old ideas of increasing taxes, increasing fares, and doing service cuts. After all, you do believe in professors in scholars regarding climate change no? So why not the same with mass transit fare policies? Look, I’m not going to engage in a comment war with you. So I’ll just say this for the few folks who do read our comment board. Like it or not, the vast majority of bus agencies in the U.S. charge flat fares. You can argue that’s a failure of imagination or you could argue that implementing distance-based fares on a bus has its challenges, especially when it comes to issues such as charging passengers the correct amount and avoiding fraud. Would distance-based fares boost ridership? Possibly. And possibly not. You have riders who would like paying less for short rides and you would probably have riders who would dislike paying more for longer rides — particularly if they are low-income riders and desperately need those longer rides for whatever reason. And I’ll repeat: at this time, the agency is not pursuing distance-based fares on the bus side, nor is anything imminent on the rail side. As I wrote earlier, you can cite this as a failure of imagination or you can say that perhaps this is the agency recognizing that there are other priorities and programs that would perhaps equally or better benefit riders. Or the time has not yet come for this. I’m not going to write anything else on the matter. I’m glad to publish your responses to this and you’re certainly free to pursue this as an activist and I encourage you to do so as it’s obviously something that you feel strongly about. Has Metro considered putting the parts of the Blue and Expo lines that run at grade down Flower underground? As South Park has changed from a bunch of parking lots to a high-density community, the grade crossings have gotten way too busy. If your grocer is only two miles away, then shoeleather is also an option. So are bicycles and similar vehicles. And if you use transit enough, then a pass ends up being a lot more cost-effective than fares OR driving. Be that as it may, having freight to haul is certainly a situation in which an automobile has advantages. Which is why you see a lot of people who work in offices, schools, laboratories, factories, retail shops, warehouses, and the like, taking transit to work, but not so many carpenters, plumbers, or electricians. For my own part, most of the places I take Metro to are places where it would cost me more for the round-trip’s worth of gas than it does for the fare, even before I pay for the parking (which is frequently at least as much as the gas). Well, it’s just as much about Frequency as about cost. I could buy a 7 or 30 day pass to save a little money, but I really don’t want to wait 20, 30 or more minutes to wait for the next bus in my hood for grocery shopping. Time permitting, I’ll always take the bus to DTLA and avoid the driving stress and outrageous parking charges. Perhaps residents along Wilshire or another high frequency corridor can recount their ‘shopping by bus’ experiences. Does LA Metro have any statistics or data to prove that majority of low income riders have long trips? I have a hard time believing this is actually the case without data to prove it. I hardly imagine that low income workers live in suburban mansions and commute 20 miles away just to earn minimum wage. As you know, the vast majority, around 60% of LA residents are renters. Renters do not typically travel that far to their work. People do not live in Long Beach and commute to Koreatown just to become a cashier at Ralphs. These people have families to take care of and they cannot spend hours on a commute on a bus or train. Low income families cannot afford to take long commutes over long distances; they are more inclined to use transit for shorter trips. If one lives in Long Beach, they will find a minimum earning wage job near Long Beach, not all the way out to Koreatown. Besides, if they don’t have a car, do you think they would even bother to waste their time going to look for minimum wage jobs miles away from where they live, ride public transit to fill out applications and do interviews all the way in Koreatown when there’s a perfectly fine high-turnover rate minimum wage job right near where they live? It’s not like McDonalds and Ralphs only exists in the City of LA; they’re all over LA County in practically every single neighborhood! If you don’t think so, you’re clearly out of touch with the public. And it is no wonder why the people have this distrust of everything that government does. You operate in a middle income suburban home to DTLA mindset and think that applies to low income riders that’s not reflective of how the most transit dependent live. The argument is a valid one. Metro can state that this isn’t a big issue but the problem will only get out of hand unless something is done. We do not want constant fare hikes. We do not want constant tax hikes. We do not want more service cuts. We need a better solution so that Metro can become more self-sustaining and a fare solution that is more fairer to all riders could be the answer. Let’s not joke around, it’s plain-jane night and day obvious Metro fares can’t be sustained forever with $1.75 flat rate, it will have to go up to $2.00, even $3.00. Now if someone like James Lampert who lives in OC and wants to come to LA, even $3.00 fares will still be a deal for him. But not us LA residents. The more you raise your fares, the more you lose market. Clearly, if fares go up to $3.00 per ride, I WILL NOT ride the bus. As it stands now I’m paying $1.75 for 7 miles of transit. I’m not going to pay $3.00 for 7 miles of transit. And I will not buy whatever rise in monthly passes will be for just 7 miles of transit either. And as you keep doing so, the more ridership falls because more and more people will start saying it’s not worth it to ride the bus when it costs $3.00 just to go few miles away. In the end, it might be just cheaper to share an Uber or Lyft ride instead. And it will only create a lower farebox recovery ratio that one day you get to the levels that won’t even be able to get federal funds anymore. Then what do you do? Declare bankruptcy? At the expense of taxpayers? All the signs and evidence points that it is the case. Your system and all the flat rate systems the rest of the US uses are not working. You take shorter trips, you pay less, you make longer trips, you pay more. It’s only rational logic. Going from LA to San Diego on Amtrak is a lot cheaper than going from LA to NY on Amtrak. It’s just plain logic. If there is a need for whatever small amount of low income riders that need to travel far away, put a ceiling cap on it if need be, the TAP system clearly can handle it. Let’s not make the same mistake as the honor system which Metro kept denying it was a problem until it got too out of hand where they finally got around to admitting they lost over a billion dollars in fare revenue over the course of two decades because of rampant fare evasion and taxpayers had to foot the bill for it. Metro is after all a taxpayer funded agency. We are your bosses, we are your shareholders, we’re the ones that pay your salary. Metro does not make the decision for us (or what’s in their own best interest), we decide what’s best for us. You are our employees, employees don’t get to tell bosses (us) what we should stick with. I do not have that info — and I’m not sure that Metro does. Length of trip is not part of the annual customer surveys. I do know anecdotally that there are riders who have some pretty long bus trips, often going to and from places not served by rail. For example, South L.A. to the Westside/Malibu, San Gabriel Valley to San Fernando Valley, etc. I also did not write that the majority of low-income riders have long trips. Those are your words, not mine. I only suggested — and I stand by this statement — that distance-based fares would probably not please everyone. And I do believe there are low-income riders who make long trips via transit.